Nestling just inside the border of the New Forest Beaulieu is perhaps best known to most folks as the home of the National Motor Museum, and to most sailors as the venue for the biggest Boat Jumble along the South Coast. 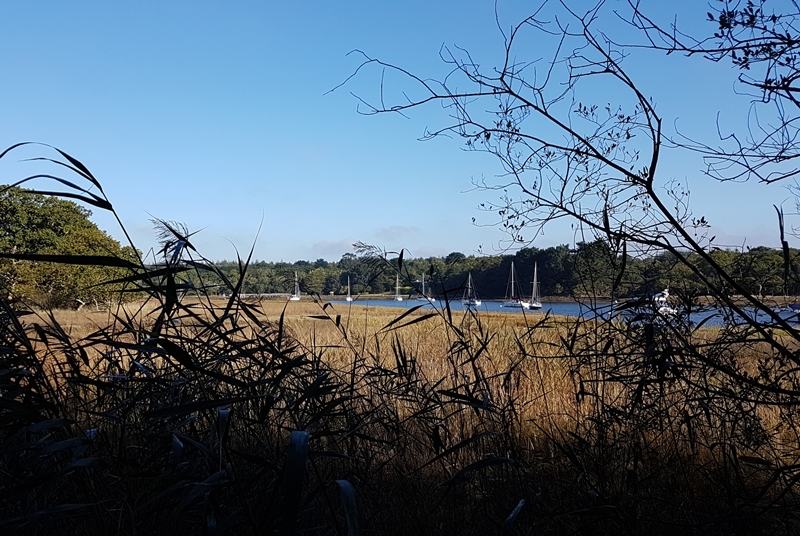 The Beaulieu River itself is one of a handful of privately owned rivers in the world and the careful custodianship of the Montagu family over the centuries have ensured that the river is essentially unspoilt – despite lying just a few miles from the busy Solent. 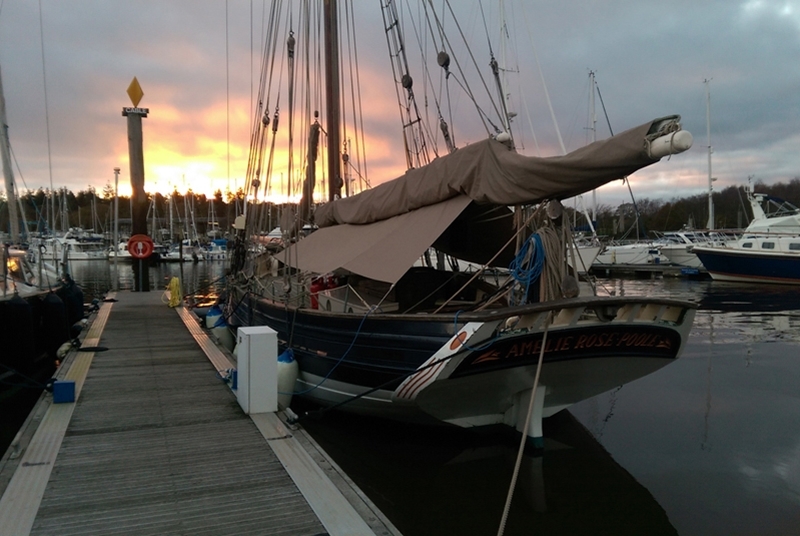 Amelie Rose lies on a midstream pontoon next to the river’s only marina at Bucklers Hard. Situated approximately four miles from the river’s entrance Bucklers Hard was originally established in the early 18th Century by John Duke of Montagu who planned to build a free port for the import and export of sugar from the West Indies. In the 1740’s the site began work as a shipyard where Master Builder John Adams and his sons built over 50 ships for the Royal Navy including most notably the Agamemnon – allegedly Nelson’s favourite ship. The slipways still exist, as do many of the shipwrights’ cottages and the Master Builders own house – now a Hotel. The inspiringly titled Master Builders Hotel also boasts our local pub – the Yachtsman’s Bar, which is where we generally meet up for a meal before heading to the boat. Should you find yourself early for a trip there’s plenty here to keep you occupied. 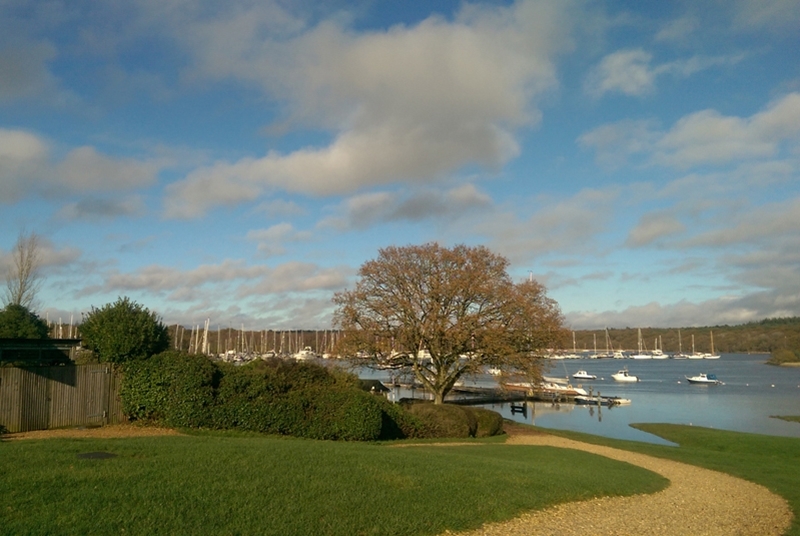 At the top of the village green lies the maritime museum – with lots of interesting exhibits about the history of Bucklers Hard, from its origins as a boat building centre to later residents (Sir Francis Chichester had a mooring here for many years). If you prefer to stretch your legs then there’s a beautiful riverside walk up to Beaulieu to try and the yard also has toilets and showers should you need to freshen up. It’s a beautiful setting we think you’ll agree and we’re very happy to be calling it home.